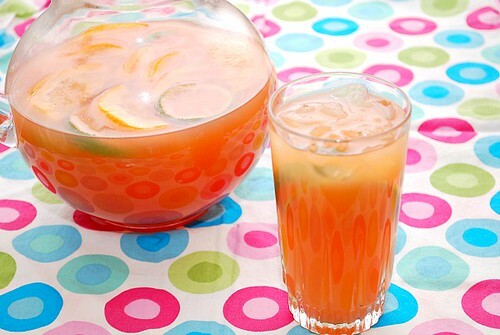 This could be made as is or if you want, add a splash of vodka or even limoncello to this punch for the 21 and over crowd. The orange- pinkish hue is bright and festive to liven up any summer party! This looks light and refreshing!! I have it on my to do list! Happy to be part of the Gluten Free Global Community with you!